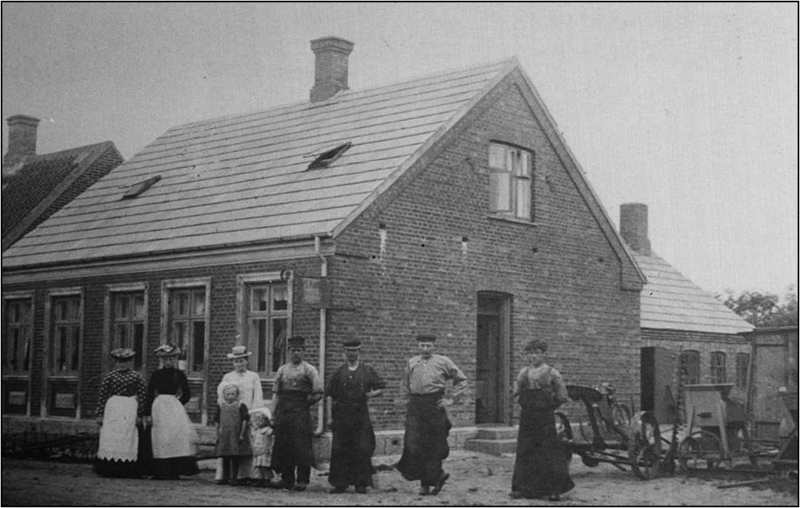 In 1899, a young blacksmith, the 23 year old Hans Sørensen Hansen (HSH), moved to Lem – a small village on the west coast of Denmark. 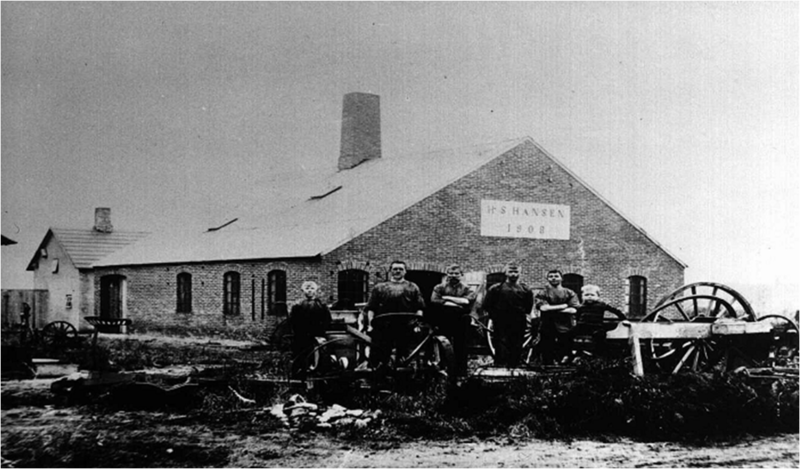 Thanks to Blacksmith Hansen, you could say that metal-based industries came to Lem. He was to become the creator of an industrial fairy tale, which has put Lem in Danish history books, as being Denmark’s largest industrial town relative to the number of its inhabitants. In 1909, he started a smithy in the tiny village. The smithy was to become the humble origins of the first steel window company in Denmark, Vestas, the windturbine manufacturer, and a water pump factory. HSH was an energetic and inventive man. In 1929, when there was a problem with a delivery of steel windows for the dairy building in Lem, he seized the opportunity to manufacture his first steel windows. 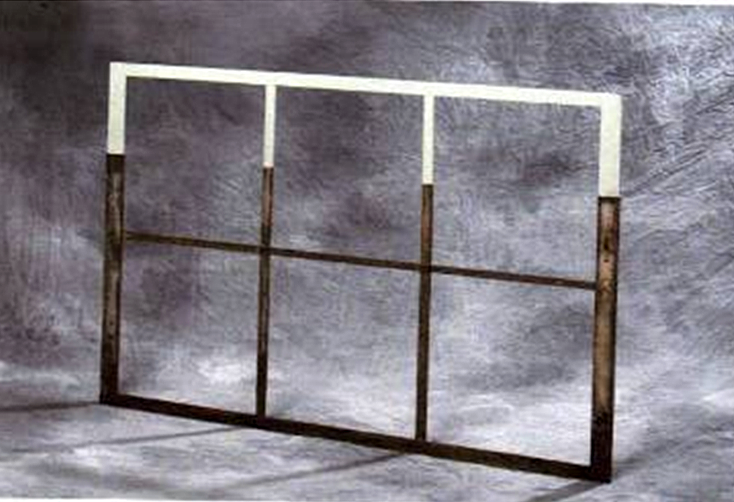 Realizing that there was a huge demand for steel windows, HSH and his two sons founded the window factory called DSI. Kristian Hansen, who was the youngest of HSH’s sons, was born in 1908. In 1949, Kristian Hansen established his own company by the name of A/S H.S.Hansen Staalvinduefabrik. In 1959, H S Hansen started producing the first aluminium doors, windows and façades in Denmark. In 1969, following the untimely death of Kristian Hansen, his 22-year-old son, Hans Kolby Hansen, took over the company. Through his grandfather and parents, Hans had acquired life skills and the old ‘Hansen spirit’ that would prove invaluable in future years; such as initiative, technical knowledge, quality control, humility, pride, boundless energy and not in the least - the ability to find a good bargain. For the last 30 years, this has enabled HansenGroup to grow both through organic growth and acquisition. From its humble beginnings in Lem, HansenGroup of today has very active and effective presences in Denmark, UK, Sweden, Norway, Germany and Poland. Its products, services, and know-how are well-known throughout the world. Throughout these years, Hansen Group has developed its expertise in all aspects of fenestration, curtain walling, metal and glass doors, fire resistance and structural glazing, and glass processing. Its innnovative and unique product range reflects the Scandinavian principles of minimalist design, high quality manufacturing and no-nonsense fitness for purpose. HansenGroup is now a true global partner in construction.